One of the best bikes ever made. 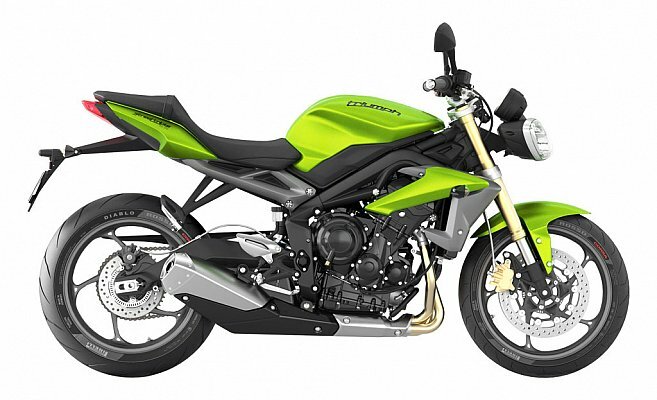 Triumph's Street Triple, often reviewed as the best unfaired bike makes an exciting addition to our fleet. Despite its sporty nature, it handles touring surprisingly well. This bike is perfect for the shorter tours but can also deal with the longer ones. 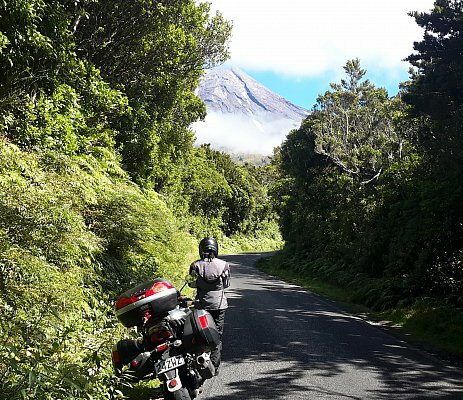 Here at Auckland Motorbike Hire, we believe that good luggage is essential for touring on a motorbike so provide all our bikes with full lockable luggage systems that are included in our daily rate. Givi luggage on bike rentals in Auckland new ZealandThis includes a tank bag should it be needed at no extra charge. Suzuki V Stroms have full Givi hard luggage including 36 litre panniers and 46 litre top box. Suzuki GSX1250FA have 41 litre Givi panniers and a 46 litre top box. Suzuki GSX650F has 36 litre Givi panniers and a Ventura pack on a Ventura frame. BMWs have Givi 36 litre panniers and 46 litre top box. Ducati have colour coded Ducati luggage with 30 litre panniers and 46 litre top box. Ducati tank bags also available at no extra charge. All of our motorcycles have Oxford Hot Grips fitted. A nice little luxury that will allow you to consider touring in our cooler months! All our motorbikes we hire are fitted with a cigarette lighter style power socket that will allow you to plug in your own or one of our GPS units or to charge your mobile phone. Click here to read our insurance policy. Road side assistance is included on all our bikes to cover breakdowns, punctures, even if you run out of petrol. We keep our bikes in very good mechanical condition so problems are very rare, but for your peace of mind we include this service.